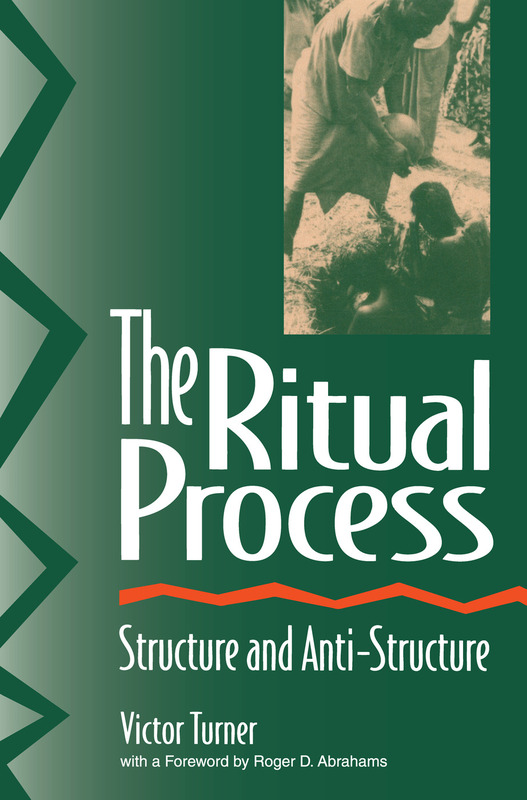 In The Ritual Process: Structure and Anti-Structure, Victor Turner examines rituals of the Ndembu in Zambia and develops his now-famous concept of "Communitas." He characterizes it as an absolute inter-human relation beyond any form of structure. The Ritual Process has acquired the status of a small classic since these lectures were first published in 1969. Turner demonstrates how the analysis of ritual behavior and symbolism may be used as a key to understanding social structure and processes. He extends Van Gennep's notion of the "liminal phase" of rites of passage to a more general level, and applies it to gain understanding of a wide range of social phenomena. Once thought to be the "vestigial" organs of social conservatism, rituals are now seen as arenas in which social change may emerge and be absorbed into social practice. As Roger Abrahams writes in his foreword to the revised edition: "Turner argued from specific field data. His special eloquence resided in his ability to lay open a sub-Saharan African system of belief and practice in terms that took the reader beyond the exotic features of the group among whom he carried out his fieldwork, translating his experience into the terms of contemporary Western perceptions. Reflecting Turner's range of intellectual interests, the book emerged as exceptional and eccentric in many ways: yet it achieved its place within the intellectual world because it so successfully synthesized continental theory with the practices of ethnographic reports."